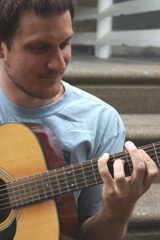 Jon Watts is a Quaker musician and spoken word poet, born and raised in Richmond, Virginia as part of Baltimore Yearly Meeting. In the coming days, he is releasing his fourth album, Clothe Yourself in Righteousness. I was blessed to have Jon ask me to review his album. 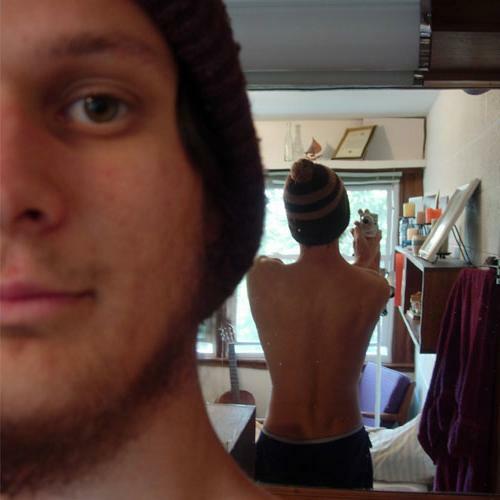 As a youth, Jon says he was a cultural Quaker. He participated in Quaker camps and activities, but he was not convicted in his heart of the Truth that Friends proclaim. After high school, Jon studied at Guilford College as a part of the Quaker Leadership Scholars Program. It was there that he began to personally wrestle with the Friends tradition. Jon's time at Guilford was also the beginning of his musical career. He released two albums: Self in his sophmore year, and A Few Songs Occasioned in his senior year. Self, as the name might imply, was focused primarily on personal exploration. It was Jon's first foray into recording, and it bore the marks of a young man in the process of finding himself in the world. Jon's second album was different. Composed as his senior project at Guilford, A Few Songs Occasioned rooted Jon's exploration deeply in the world of the first generation of Friends. 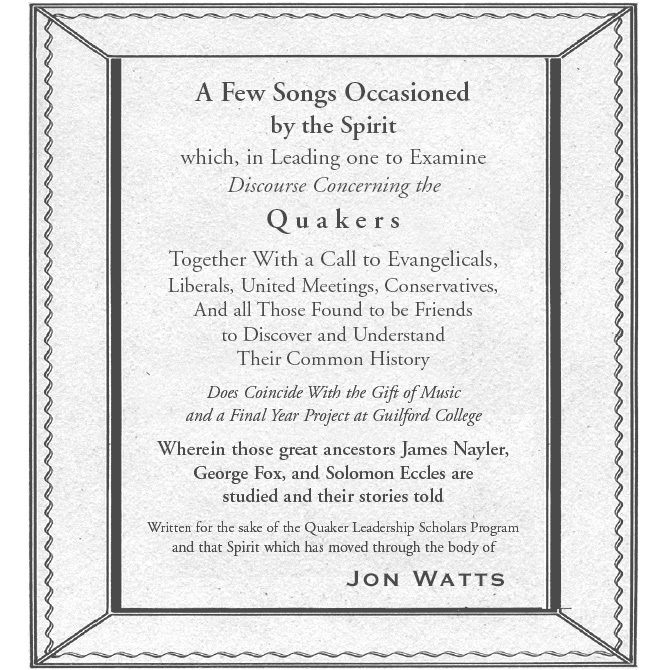 Jon would later say that the process of composing and producing this album was what began to convict him of the message and witness of the early Quakers. Jon became a convinced Friend. Following college, Jon spent a year at Pendle Hill - a Quaker study center near Philadelphia - during which time he released a third album, The Art of Fully Being. This album was a more mature version of Self. It was a self-exploration for sure, but one rooted in Jon's deepening walk with God. In The Art of Fully Being, Jon's spiritually grounded concern for the human and natural world comes across clearly. We see the way that God has been tendering Jon's heart, healing him of past wounds, and calling him into greater faithfulness. 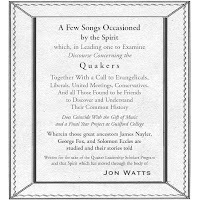 Jon's fourth full album (he came out with an EP in 2009) returns again to an explicit focus on the witness of the early Quaker movement. Two of the ten songs are retellings of early Quaker ministry, and all of the tracks are infused with a raw Quaker spirituality that draws directly on the explosive witness of the earliest generation of Friends. In Clothe Yourself in Righteousness, Jon finds a dynamic balance between past and present, self and community, spirit and flesh. This is the work of a mature artist who has received the courage to look deep inside himself and bear the Truth. Guided by the witness of Christ in his heart, Jon's music reveals the intimacy and tenderness of God's love. It also reveals the radical challenge of faithfulness. While Clothe Yourself in Righteousness basks in the tender love of God, it is also unflinching in its call to risky relationship with both God and our fellow humans. This album is sometimes comforting, but it does not leave us feeling comfortable. On the contrary, Jon calls on us to sacrifice selfish comfort as we pursue the Truth. Clothe Yourself in Righteousness invites us to "get naked" - making ourselves vulnerable for the sake of love, letting the power and protection of God become our only defense. Clothe Yourself in Righteousness is a testament of courage. God has done enormous work in Jon's heart over the past several years, and it shows in this album. CYiR offers us an opportunity to join Jon on this journey, discovering the revealing, healing power of Christ's light. This is a content-rich piece of art. There are lots of words in this album, and CYiR bears listening to again and again, just to catch the nuances of his poetry. Yet, this album would not be whole without the instrumental accompaniment of guitar, violin and cello. The violin and cello in particular give CYiR an epic, soaring feel that emotionally moves and lifts the spirit. This is not pop music; it is not meant to be background. When you buy this album, I encourage you to resist the urge to multitask. Instead, before you hit play, sit down without any distractions, and open yourself to the roughly forty minutes of ministry that this album has in store for you. I trust that the Spirit will be present. Resist multitasking or do like I'm doing: keeping an earphone constantly stuck in one ear while going about life playing the album over and over (and over! ).